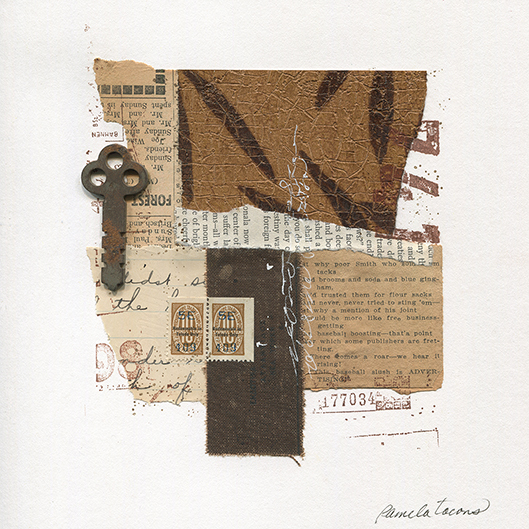 Mixed-media abstract collage with found papers, ink and a rusty key. 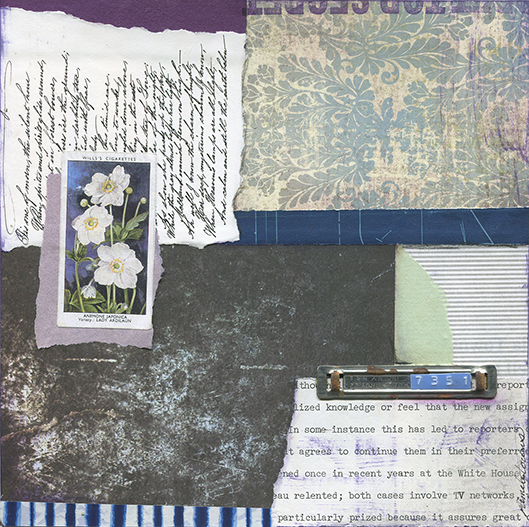 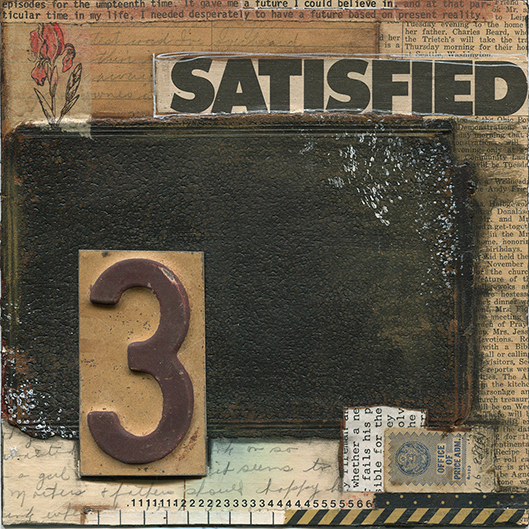 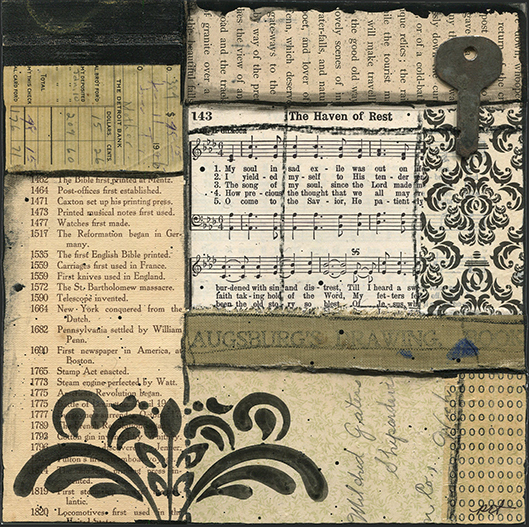 Mixed-media collage with vintage papers, book covers and metal number. 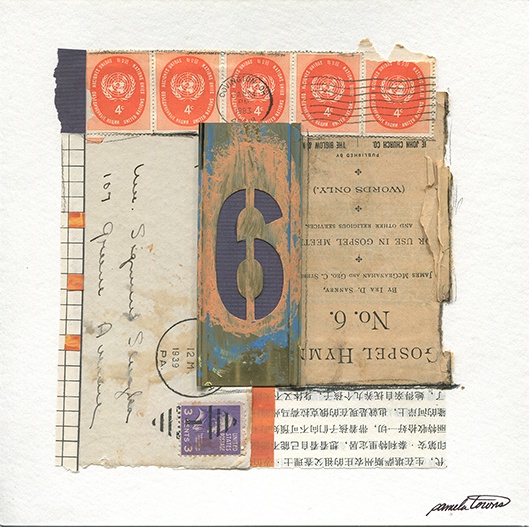 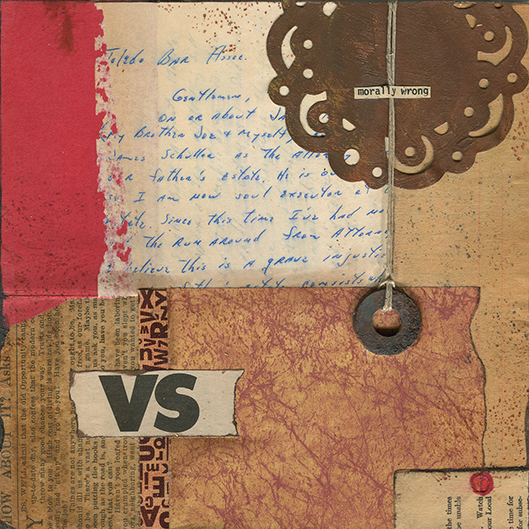 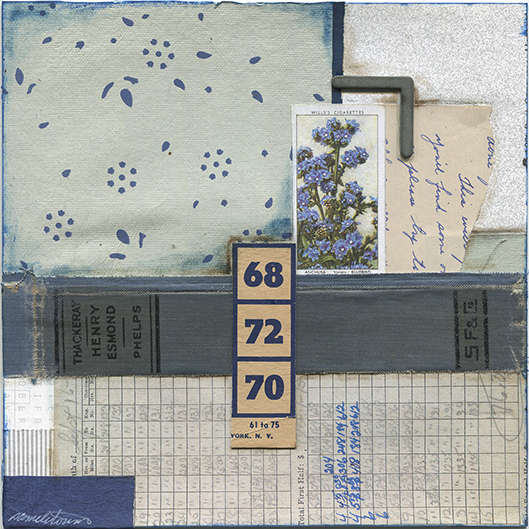 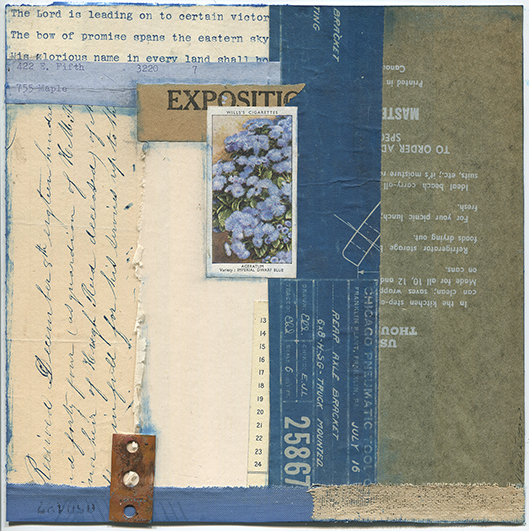 Mixed-media collage with vintage papers and rusty washer. 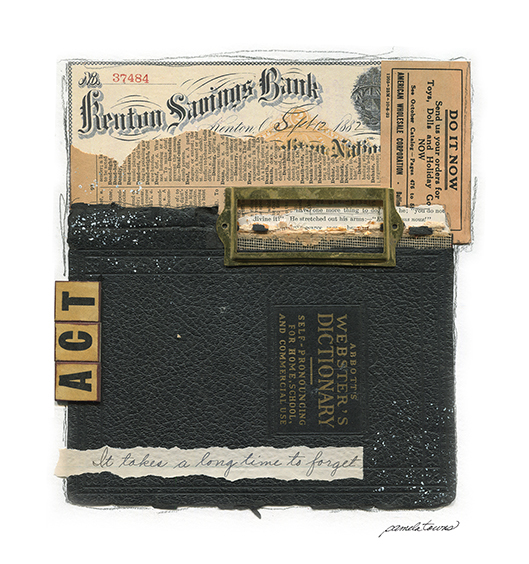 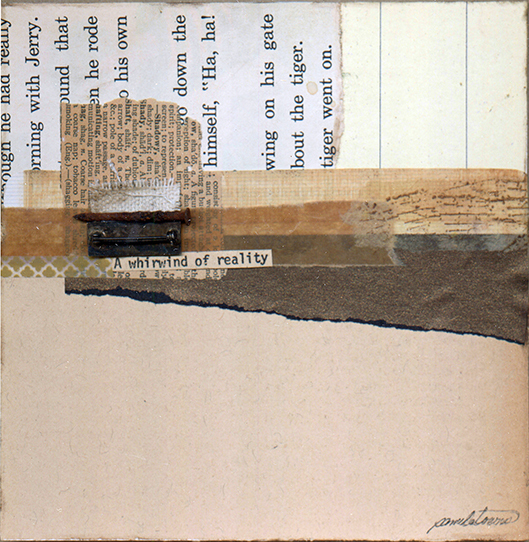 Mixed-media collage on paper with vintage papers and book bindings, ink, paint and an old key.